After Florence’s White Night, Florence turns blue with Florence’s Blue Night 2010. It will be a night dedicated to Europe and its traditions, as well as cultures and differences. There will be many events from 3 pm Saturday, May 8 to 6 pm Sunday, May 9. More than 24 hours of concerts, dances, performances in the streets and squares of Florence, but also in stores, libraries, restaurants and cinemas in the city center and in its surroundings. From Palazzo Vecchio to Badia Fiesolana, from the Oblate Library to Caffè Sant’Ambrogio, from Santa Trinita Church to Russian Orthodox Church – these are just some of the places that will host these special events in Florence. Among the events there are classical concerts, disco music, plays, activities for children, lectures, dances from all over Europe, as well as special European menus in many Florentine restaurants. Most performances will be for free. Some others will be on payment. For those that require payment, if you register for a European Passport on the official website Florence Blue Night 2010 and carry it with you, you’ll pay a discounted entrance fee instead of the full fee. 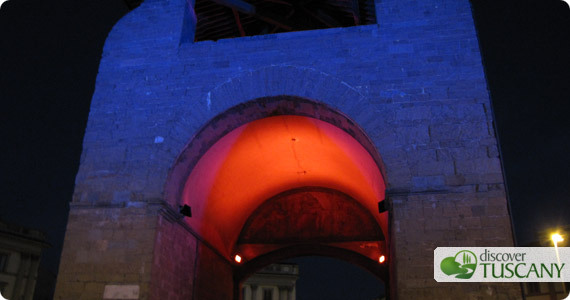 On the website you will also find the detailed program for this blue Florentine night.